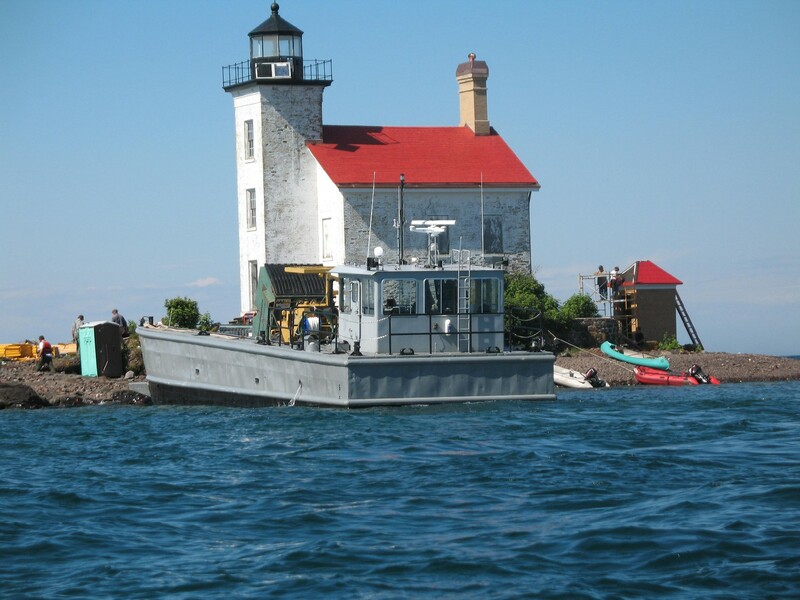 The Gull Rock Lighthouse is featured in The Keeper’s Log, a lighthouse magazine published by the U.S. Lighthouse Society. Gull Rock has used the MLAP grant program for both planning and rehabilitation work. Here is a view of the lighthouse from 2008 when the roof work was being completed.